Discussion in 'Modified 2011- 2019 Explorers - Tuning & Mods' started by ExplorerNoob77, February 1, 2019.
tied to an extra keyfob to generate the same affect as the ford pass app remote start? With open source programming, and these relay modules, wouldn't it be possible to make an app to control it all, and not have to text/call to activate the relay module? Ford sells a remote access unit. Contact Benny at Levitown 623-500-2678 He is in Arizona time zone.. Awesome guy and can help you with a ford product for your Exp. I have one installed and LOVE IT !! calls through cell service to your vehicle. I have installed several with my friends on their Exp and Escapes as well. There are a few existing threads on Remote Access using a Smartphone if that is what you're after. I have found them, and read them, but this is more of a DYI type of project without using Ford's equipment or app. Just seeing if anyone has tried this, thought of this, or if everyone has just been using OEM/aftermarket parts that are more expensive. This type of project looks to be that the FOB that would have to wired to the relay module would probably be the most expensive part. Just putting a feeler out there to see if this route is feasible or has been tried is all. Is this the one that you purchase the RMU and VSS to make work? If my understanding of the thread, You MUST have the VSS to have the RMU work. I don't have a sticker, but looking through the as built data, the Perimeter Car Alarm ( 726-01-02 in FORSCAN) is enabled, so do I already have the VSS? 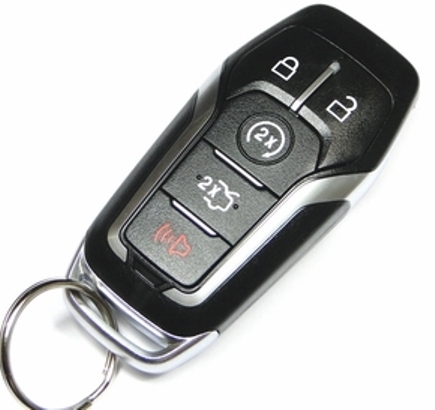 If you have remote start key fob you likely have to just get the vss and RMU modules and plug and play.. your hood switch is likely already installed. I did the install on my buddies escape and my explorer and used forescan to turn on the remote start.. Benny activated the system for free remotely at no charge.. worked out well. So, I just got off the phone with Benny. He said since the app hasn't been updated, it may not work with newer phones as the phones get updated. Ford has discontinued the products for remote access, but may still be found on ebay. Guess I may have to dive into the sync3 realm, and try that. Well I have the newest iphone and OS and have no issue.. I take it he didnt have them in stock? I can get you the part numbers off mine if you wish. Bit off topic, but where did you acquire the as built data and how did you view it? I've tried a few different methods but I'm down to buying a new window sticker from Ford. Where on the Ford website is this possible? I've looked all over but it seems like the only place is on Ford parts, which is a physical sticker you pay to have shipped to you. I downloaded FORscan the other day as well as the as built data from the motorcraft website (still waiting for an MX scanner) but I can't load it into FORscan and I don't know how I can, so I still searching how to do so. If you have your as built data, why do you still need the sticker? Would Benny still activate it even if it wasn't purchased through him? That's fine if you already have a Window Sticker and a cellphone capable of scanning. I have the file, in .ab format, if my as-built which I can't access through any program. Still haven't been able to figure out how to do with FORscan (still waiting on an OBD scanner anyway). Hence the need for the window sticker. If I can't figure out how to get it by next week, I'll just order one from Ford. Were you able to pull the part #s? I was playing around with ForScan today, and noticed the perimeter alarm is enabled, but it didn't show a VSS module or part number. It also showed a gateway module, but I am guessing it's just for the download firmware and apps connectivity. Only success I've had with ForScan is the remote window operation, shift lock without IA key present, and double honk.